Beautifully filmed and with a brooding country mansion harboring dark secrets, The Boy doesn't pack an emotional wallop from intense scares or mind-numbing body counts, but what you will find in this gentle-gothic, that borrows much from other horror movies, is a simple treat of creepiness and mystery. Lauren Cohan plays an American, Greta Evans, traveling to the Heelshire's family estate in the United Kingdom. It's an old, large, stuffy, and filled with hunting tweediness and wood trimmings kind of mansion, forgotten deep in the surrounding woods. Mom and Dad Heelshire need a nanny to take care of their son as they go on a much needed vacation away from--their son. They introduce 8 year old Brahms to her, but he's a life-sized porcelain doll, neatly dressed and somewhat melancholy in expression. She laughs. They look appalled. She realizes they are serious. She settles in. Greta needed to get away so she has little choice. The grocery man, Malcolm (Rupert Evans), warms up to her and explains the background of Brahms and his parents. He gives Greta the pub gossip version and the regular gentrified version, and both tend toward providing just enough information for us to know there's something odd going on with the Heelshire's and their very odd son: the porcelain one and the real one. The Heelshire's (Jim Norton and Diana Hardcastle) look tired, on edge, and desperate to leave the mansion. Mrs. Heelshire apologizes to Greta for leaving her alone with Brahms. A hint that maybe the other nannies they hired had their hands full and then some. The list of to do items, left behind, directs Greta to play music, make sure the boy is fed, dress him for bed with a goodnight kiss, read aloud to him, and do all the things you would normally do if he were a living boy. But he's a porcelain doll so of course Greta gives up the listed duties a short time after the Heelshires have left. That's when strange things begin to happen. As Stacy Menear (writer) and William Brent Bell (director) mix in the hoary horror elements amid the splendidly brooding images of the mansion's animal carvings, hallway windings, and cloistered presence in the forest, away from neighbors and town life. Greta begins to suspect that the porcelain Brahms is alive. As her suspicion grows, her seclusion and avoidance of Malcolm's interest in her grows, too. She becomes more protective, more mothering, and starts adhering to that list of duties with unwavering determination. But then her reason for leaving the States catches up with her, forcing Brahms and his mysterious story into a new direction. While Menear's story resorts to too many overly seen tricks of the horror trade, without twisting them in non-traditional or quirky new ways, she does provide a kick in your seat moment as Brahms and Greta's pasts knock into each other. You will either like it or hate it, but it provides a direction that's not expected. For fans of, and those not familiar with, Lauren Cohan, she's very good at making the story work beyond the simple premise of "our son, the life-sized porcelain doll" and keeps to the fine line between histrionics, vulnerability, and assuredness. Not so welcomed is the sequelantic ending tacked on beyond the perfectly good one. It's the kind that screams "not dead yet!" while ruining the natural denouement. I will say that there's a lot of backstory here that's left to imagination or future sequels, but I would have preferred a less blatantly commercial ending here. The story's mysteries are sufficient enough to spark a revisit, should the movie's box office mojo allow. Part of the 7900 Series for Wonder Books, which covered "television personalities/programs or fictional characters" (Wikipedia), this softcover children's book features abridged versions of The Strange Case of Dr. Jekyll and Mr. Hyde, Frankenstein, and Dracula by Walter Gibson (writer of the Shadow pulp magazine) and is illustrated by Dell and Charlton comic book artist Tony Tallarico. Note the placement of the electrodes for the Frankenstein Monster and how Dracula is portrayed mostly as a presence throughout the story. Like Castle of Frankenstein, Shriek! The Monster Horror Magazine, went for more sophisticated coverage of horror movies than most of the other monster magazines were striving for. With ample photographs not marred by humorous captions and it's three-column format, Shriek! was easy to read and didn't feel padded with unused space (like large text sizes used to fill a page in some magazines). One wonders why it didn't last: maybe its content coming from London proved too difficult to maintain; maybe, with Castle of Frankenstein already established, the need for another similar magazine never materialized; or maybe the logo and cover arrangements didn't stand out enough on the newstand racks? Running to only four issues, Shriek! The Monster Horror Magazine, focused on the contemporary horror movies, and added interviews with the likes of Boris Karloff and Vincent Price. A little bland when it came to cover illustration, Shriek! nonetheless produced a quality publication in content and photographs (which appears to have come over from a British publisher as the address for translations is listed in London). In this Issue 2 you will find coverage on Dr. Terror's House of Horrors, The Skull, War-Gods of the Deep (aka City Under the Seas), Devil Doll, and an interview with Boris Karloff. This issue also has the second part to an interview with Vincent Price. What every astronaut hopes to find in space: rock monsters, giant unfriendly spiders, and lots of beautiful women improperly dressed for space. The poster art is wild, right? A "hair-raising adventure" indeed. Filmusic in the Fantasy Film kicks off this issue 17 of Castle of Frankenstein. A headitorial deriding President Nixon along with the political system points to a unique element that distances magazines like COF and The Monster Times from their more traditional competitors: political dissent. (My, how things never change.) While the monsterkids of the 1960s were content to just focus on creature features, the popculturekids of the 1970s were pretty noisy when it came to politics and authority. Luckily, more pertinent fare for horror lovers includes much needed recognition for Rondo Hatton, an interview with Robert Bloch, and the essential Frankenstein TV Movie Guide. The Noose Reel provides some tantalizing tidbits regarding Night Gallery and a section called Mad Ave and the Macabre (commercials on television that COF found interesting). I bet you didn't know that Wallace Wood storyboarded an Alka Seltzer commercial! As usual, this issue of COF is more erudition than humor and a rewarding read. Director Jason Zada's camera framing is chokingly tight in The Forest, opening up once for a drone mounted camera overhead view that tellingly follows Sara (Natalie Dormer), Aiden (Taylor Kinney), and Michi (Yukiyoshi Ozawa) as they walk a path through Aokigahara Forest, at the foot of Mt. Fuji. The forest is a notorious place for hikers looking to commit suicide, and legend has it, is filled with Yurei (spiteful ghosts), who play deadly tricks on those who stay after dark. So you must not leave the main path and you don't stay in the forest after dark, or so goes the warning. But this is a horror movie and warnings are always ignored in horror movies. Sara meets Aiden, a reporter, who in turn knows a forest guide, Michi. Michi takes regular hikes through Aokigahara looking for suicides, and Aiden goes along for the walks, looking for a potential story. Sara convinces Aiden to convince Michi to take both of them along on his jaunt through the forest. He's not happy with the idea, but agrees to help. He explains that those who are sad are most vulnerable to the dangerous spirits that lurk there. The question that unfolds and eventually is answered for us is who is actually the sad one: Jess, who's had a rocky life, or Sara, who has a happy marriage but seems to worry a lot about her sister? This becomes the underpinning for the story and provides a layer of involvement missing from the visuals. It's also an essential element within J-Horror: the character who doesn't know herself or himself and who is taken advantage of because of it. We travel with Sara to Japan fairly quickly, slow down once we get there while she languishes lost in thought, then take the train ride and long walk to the forest with her, where we slow down again for a somewhat confusing (is she dreaming, is this real?) stock scare in the basement of the tourist cabin, and another half-hearted scare at the inn she's staying at. Then Zada jumps out of his routine by capturing the essence of Japan in a scene at twilight, involving schoolgirls crossing her path while she's, once again, lost in thought, snapping her out of her reverie to notice the inn she's standing in front of. An evocative scene that stands out among many less memorable ones. Finally walking through the cheery forest (those chirping birds do sound cheery), Sara ignores all of Michi's warnings and insists on staying the night after she finds her sister's yellow tent. And this is after they find a somewhat gamy suicide hanging from a tree. Aiden agrees to stay with her. As night falls, the Yurei come out. The scares do not. Either I'm too jaded or Zada hasn't seen enough Japanese horror to realize breaking a tradition or two here would have made a smarter movie. We didn't need to travel to Aokigahara to see his spirits, we've seen them often enough elsewhere. After getting us and Sara into the forest, he doesn't make us lose our way in the creepy darkness with the visual or stylish flair promised by his birds-eye view or twilight scenes earlier. What he does do well is build the paranoia Sara feels as she questions what's real and what isn't, while opening her backstory to us. It's infectious. Why did Aiden stay with her? Does he know what happened to Jess? What exactly happened to her parents? Is Sara being tricked and lied to by malevolent spirits dressed as Japanese schoolgirls? Zada reaches a good level of uncertainty but fails to really sell it without more visually unique horrors. What he shows are standard images, within standard events, and providing standard clues. The story unfolds as it should, and there's a nice twist ending--just who exactly is the lost one here?--but it all boils down to an often seen horror scenario presented without enough visual flair or tricky timing to make it more than simply good and not nearly good enough. Read my interview with Peter Normanton here. From the Tomb magazine provided extensive coverage on the history of horror comics. Later issues would be large format, with excellent cover reproductions in full color. If you're into horror comics, especially the ones from the 1950s on up, you should pick up back issues of From the Tomb. The blog appears in limbo, but you can find back issues on eBay. For now, here is the first issue from 2000. A Star Trek Hall of Fame kicks off this second half of Quasimodo's Monster Magazine Issue 8 as the movie is "90% set," followed by a comic, Star Wrecked vs: Spaced-Out 19991/2 (a fan produced one, I'd say). Don Wigal explores Shark Fever with Jaws (a very informative article on the production, Steven Spielberg, and the movie's influence). Another good article by Ed Connor discusses silent serials, and a short look at 1931's The Spider with Edmund Lowe as a magician (he also played Chandu the Magician in the 1932 movie of the same name, being vexed by Bela Lugosi). Finishing off the issue is an interview with author Edward Edelson on his science fiction films book, Visions of Tomorrow. All told, this issue packs some punch with its articles. Once again it's time to travel back to a time when pulpy paper printing and monstrous humor were all the rage. Today, let's enjoy issue 8 of Quasimodo's Monster Magazine, a magazine that gave you a big 100 pages, if not much else. 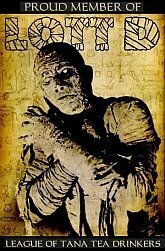 In this first half of the magazine, we are treated to The Mummy Through the Ages, The Invisible Man (a sight for sore eyes), and funny comics related to the lead articles. More funny, now that we look back at them, are the advertisements: from the imported lock blade stilletto knife (moms loved that one), the Are You Having Trouble Reading This Ad? hawking eye exercises (funny, but now I could use those exercises), no-real-selling-needed order taking for metal social security plates, and automobile upholstering and customizing--yes! you too can do it! Hopefully we'll see some monsterkid related ads in the second half. Ghost (http://friendlyghost.typepad.com/) sent me a link to the Thomas J. Wright interview conducted by TV Time Machine in 2011. Trying to listen to it, I discovered it didn't play in contemporary browsers, as it needed an mplayer plugin. Or so each browser I tried indicated. Trying to retro fit the plugin, I had too many issues, so I gave up and captured an MP3 version instead. So here it is. Right-click the link and "Save link as..."
And perusing Wikipedia's entry on Mr. Wright, I found he was quite the all-rounder: "Wright has directed episodes of Smallville,One Tree Hill, Firefly, and many other programs. He also worked extensively on Chris Carter's Millennium, on which he was a producer as well as directing 26 of the show's 67 episodes. He also directed the 1989 Hulk Hogan film No Holds Barred." Here's the second half of Monster World Issue 1 magazine (aka Quasimodo's Monster Magazine). A few funny-photo-captions, a Find a Monster Puzzle, and nods to screen vampires and Avco Embassy's television series, Nightmare Theater, fill this second half. Oh, and I shouldn't forget to mention the 70,000 Year Old Teenager, Korg, and the ad for Sun-Flower, the Chinese Handmaiden Doll every horror fan would want to own. At least this second half of the magazine has more ads suitable for monsterkids, like the Night Gallery and monster-sized Quasimodo posters, as well as the fine craft books on dress design and basic knitting. I wonder how many cosplayers started this way?